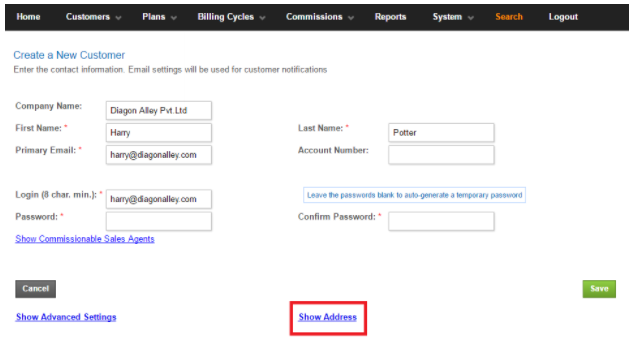 The Login (required field) auto populates to what’s entered in the Primary Email field. This can be over-ridden to any input of your preference. An order is an association between a Plan and a Customer; it indicates that the Customer wishes to subscribe to a particular subscription Plan and provides the terms around it such as the start and end dates, the quantities involved, etc. 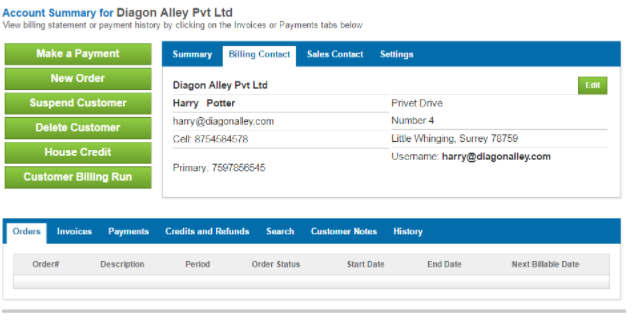 The Order is a one-time act, and the resulting invoices generated are periodic occurrences resulting from the Order. One customer may purchase more than one Plan by placing multiple Orders (for example a customer may buy a voice plan and a separate data plan in the case of a telecom provider). Each Order is associated with exactly one Plan. The Charge C1, C2 and ST are the Charges setup in Plans & Charges and you can check the configuration or make changes by clicking on it. 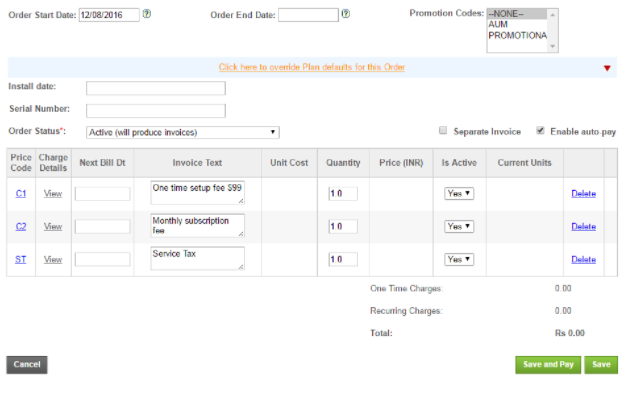 On clicking Save and Pay, the Order and Invoice will get generated.